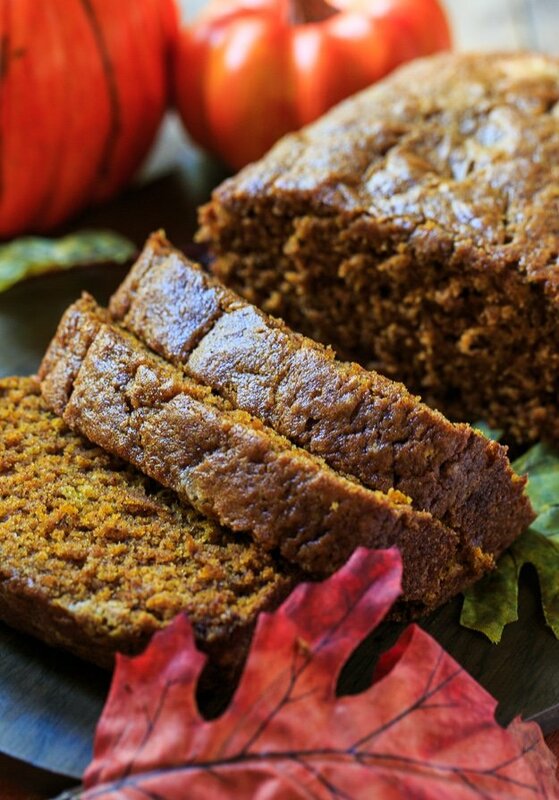 This pumpkin bread isn’t for the faint of heart. With 2 full teaspoons of nutmeg and 1 teaspoon of ground cloves, it’s got tons of spice to really wake up your taste buds. And BTW, it goes wonderfully with coffee. There aren’t any hot spices in this bread. We’re talking fall spices. Love them and the wonderful scent they fill the house with. The aroma coming from the oven as this bread bakes is amazing. 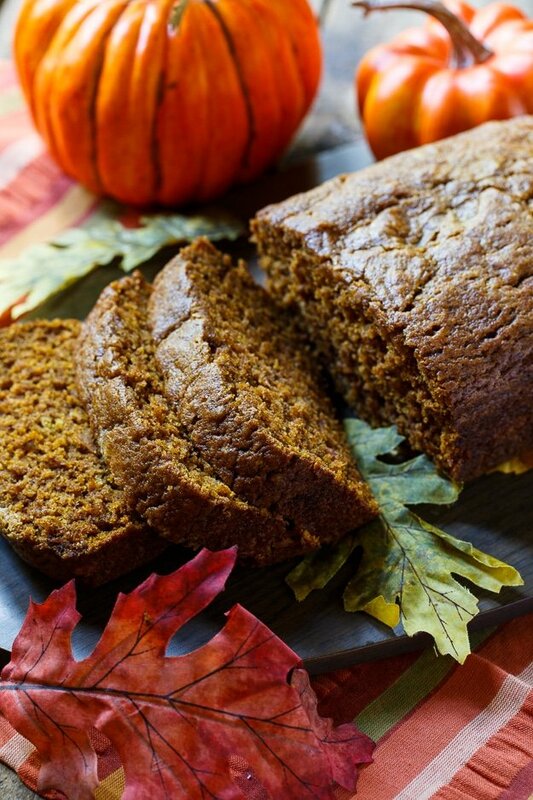 Pumpkin Bread couldn’t be easier to make. Just dump everything in a bowl and mix. That’s my kind of baking. You will have to wait an hour and a half for it to bake though. But your patience will be rewarded. And your house will smell heavenly by the time it is done. 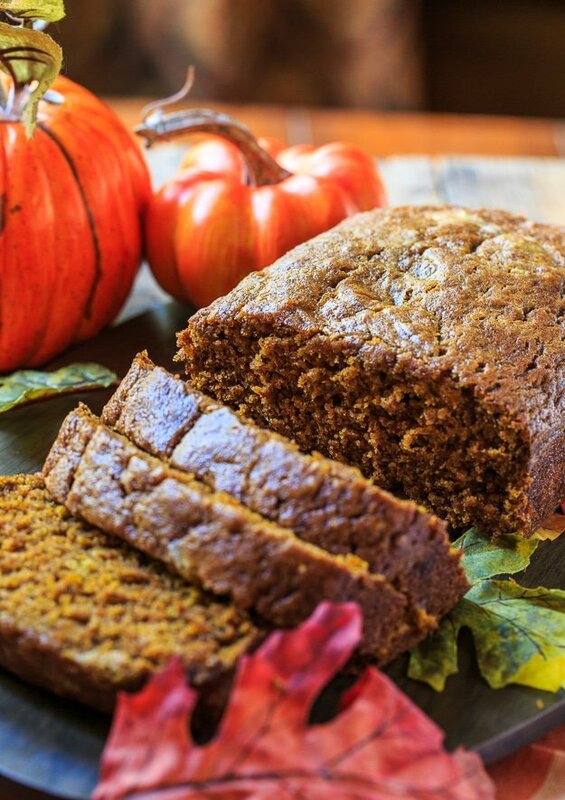 This pumpkin bread is perfect just as is. No need to add any nuts, cream cheese, streusel, or drizzle of any kind. With the addition of vegetable oil, this bread stays extra moist for days and the flavor gets better over time. Pumpkin bread is great to give as holiday gifts because of its long shelf life. And 99.9% of people would be much happier with pumpkin bread than fruit cake. So you may want to go ahead and double or triple this recipe and use mini loaves. Your neighbors will be happy. 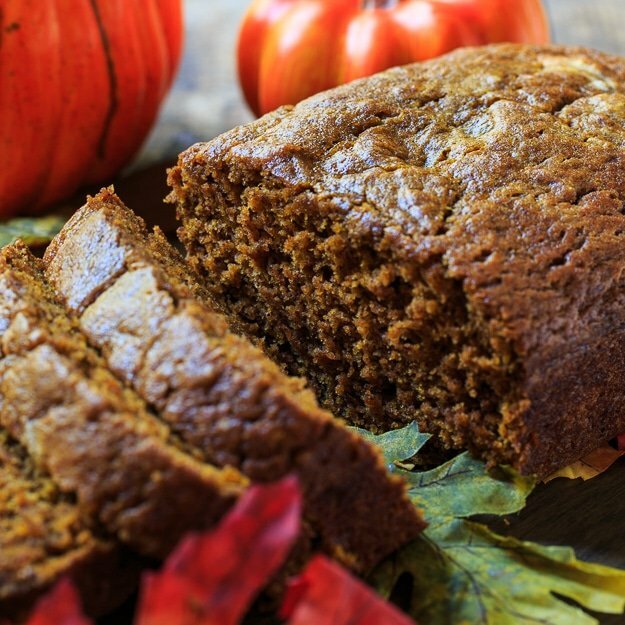 This pumpkin bread isn’t for the faint of heart. With 2 full teaspoons of nutmeg and 1 teaspoon of ground cloves, it’s got tons of spice to really wake up your taste buds. Pour into a greased 5×9- inch loaf pan. This entry was posted in Breads and Muffins and tagged pumpkin, quick bread. Bookmark the permalink. 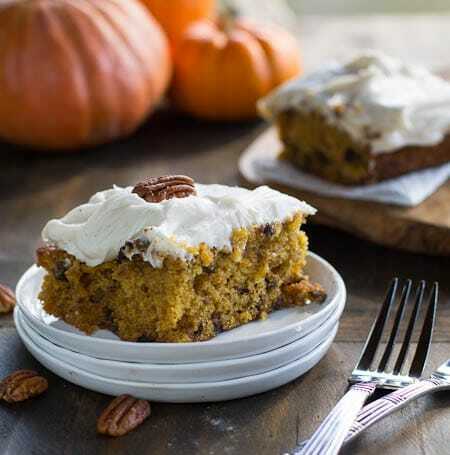 I am an avid baker and pumpkin bread is one of my favs. For the last couple of years, this has been my GO TO pumpkin bread recipe. I find it so easy and reliable. I love that it is less sweet and more spicy. I even add some ground ginger along with the other spices. It makes a perfect loaf, every time. Thanks for a great recipe! That’s great that this has become your go to pumpkin bread recipe Mindy. I think it has the perfect balance of sweetness and spice! Hi there! I made this pumpkin bread and the texture was perfect. I didn’t find it sweet enough and it didn’t taste pumpkiny enough. Did you use a large can of pumpkin, or the smaller 14 oz can? 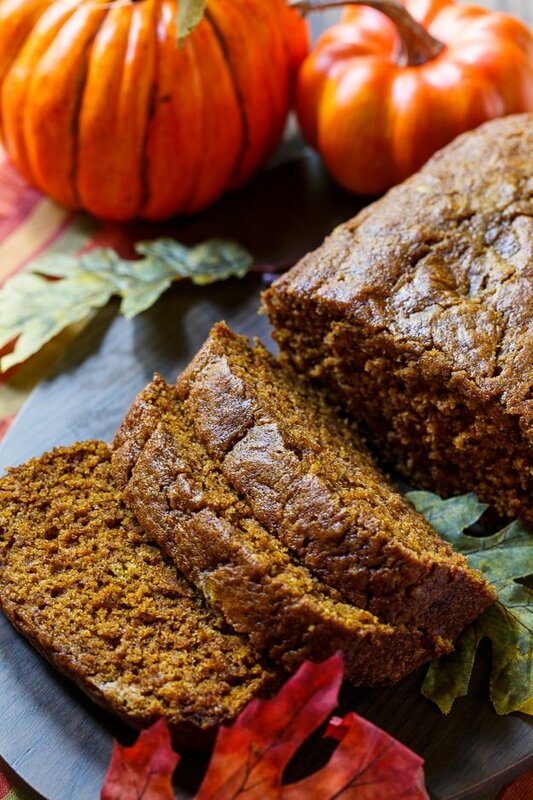 The spicy pumpkin bread sounds great! How long should it bbake if using mini loaf pans? I would guess somewhere between 35 and 45 minutes. If you give it a try, please let us know in case someone else is wanting to make mini loaves. Pumpkin bread AND cranberry bread!! I could eat them everyday!! Thanks!! Yummo!! Love all of the fall spice packed into this bread! Perfect pairing for a hot cup of coffee! Wow, I am so intrigued by this since a lot of recipes only call for a pinch of nutmeg!! I LOVE fall spices, though, so I am dying to try this out! I’m so ready for pumpkin bread season. 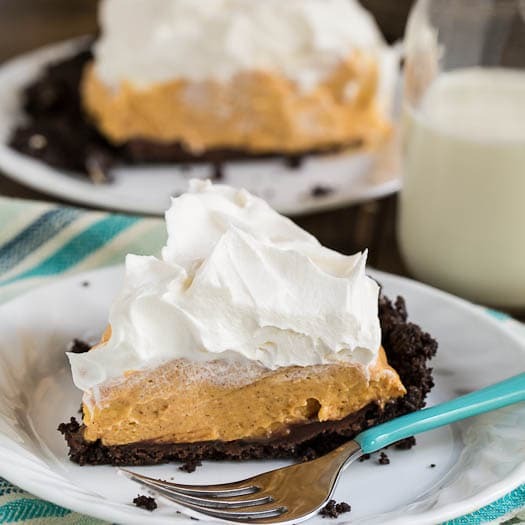 It’s one of my favorite ways to enjoy fall! 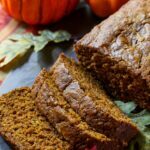 This definitely sounds like the perfect pumpkin bread to go with my morning cup of coffee! I love the extra spices in here, Christin. Sounds like it gives this bread so much flavor!